In a recent discussion a senior consultant stated that “Incident Management is the most important ITIL process”. That is one of those statements that make you wonder about the level of understanding of what ITIL is all about. You might get away with the statement that Incident Management is one of the most visible processes out of ITIL, but it is certainly not the most important. To start with, Incident Management is not a stand-alone process. Calling Incident Management the most important is like calling the engine the most important part of the car. Just leave out the brakes or the steering and you’ll find an engine alone is almost worthless. Incident Management is one of the processes in ITIL and without using the other processes there is not much value in Incident Management alone. It is also one of the processes that kind of work even without any ITIL certification or consultant needed. When an IT Service is no longer working, it is clear that something needs to be done. Most IT staff I know are very willing to take on a good IT failure, the more problematic the better. 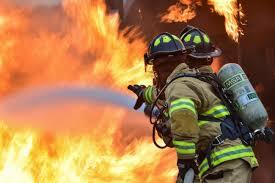 As true firefighters or IT Heroes they take an incident heads on and often will no stop until it is solved. They might not do it the smartest way and it might not be the most efficient way: and the issue almost always gets kind of solved (for a while). Most often incidents that are not getting solved are not interesting enough from the IT staff viewpoint. And the business is not giving the incident enough attention (screams) to get it on the radar. Incident Management is done, but maybe not in a very mature and professional way. Instead on focusing on the Incident Management process itself, it makes more sense to focus on processes that would help to either learn from how incidents are being solved (ic Problem Management) or help to prevent incidents from happening (like Availability Management). In many organizations these processes are either not existent or very rudimentary. Spending time and energy on improving these processes will help to improve the Incident Management process over time. Without an accurate incident management log it is hard for problem management to organize learning. And Availability Management will help to organize the best responses to incidents before these will happen, by organizing escalation paths within the IT department and with external providers and partners. Incident Management process is part of a larger framework, it tends to organize itself and it will be improved by focusing on more complex processes like problem management. So why would a senior consultant state that Incident Management is the most important process? In this case the discussion is part of the procurement of IT services and the consultant wants to make sure that the provider understands that there is little room for service outages. That might explain the sentiment but it doesn’t really make that much more sense. If you are buying anything and you are focusing almost exclusive on the process to deal with failure, are you buying the right service? If you would buy a car and are mainly concerned with the process to deal with defects: how bad is that car? You might want to reconsider the purchase or choose to refocus on discussing on how the service would bring value and contribute to your business goals. Any provider that takes its customer serious will have an effective form of incident management in place. Service outages are just as problematic for most service providers as it is for their customer. Often the main concern is not the Incident Management process itself but the communication to and involvement of the business in the process. I would myself put more emphasis on Business Relationship Management than focus on the Incident Management process. I cannot think of any reason why Incident Management can be considered the most important process in the ITIL suite. I think a statement like that misses the whole point of ITIL and Service Management. I think that focusing on Incident Management is not helpful in any way to get buy in for the use of ITIL or any other related framework. It is time to stop spending to much time on Incident Management and focus on those aspects that will really bring value to the business. Categories: Service Management | Tags: Incident Management, ITIL | Permalink. Cowboy IT service management (ITSM) consultants – there are too many of them out there. Just because someone knows some of the language, or because they’ve been on an ITIL course or read the books, doesn’t make them good. Categories: Pocket | Tags: consultant, ITSM, itstrategizer | Permalink. At first, it was just a whisper. Someone from Marketing was complaining to a colleague from Sales about the new home-grown sales and marketing automation system that IT installed last year. Categories: Pocket | Tags: Agile, CIO.com, itstrategizer | Permalink. When people think of enterprise IT infrastructure, they often imagine racks of hardware locked away in data centers and basements. Categories: Pocket | Tags: enterprise infrastructure, itstrategizer, McKinsey, trends | Permalink. Categories: Pocket | Tags: computerWeekly, DevOps, itstrategizer | Permalink. Categories: Pocket | Tags: ITSM Tools, itstrategizer | Permalink. Categories: IT Management, Service Management, Transformation | Tags: DevOps, informationweek, itstrategizer | Permalink.